In May our brand new $1 billion airport terminal will open. That is great news, but………………! The “but” is the absurdity of opening this terminal and not having a concurrent opening of a means of ingress and egress. 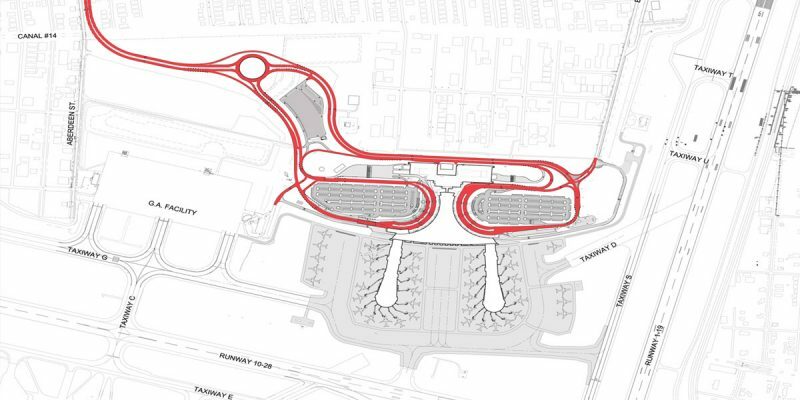 The terminal construction plan was announced at the end of Governor Jindal’s term. At that time there was some discussion of the need to create a “flyover” from I-10 but it wasn’t seriously addressed. The project has never been placed as a high priority in three years of Governor Edwards’ term, only finally starting to heat up recently. The actual start of construction of the flyover is now hoped to be in September of 2019, many months AFTER the terminal opens. The planned construction time is about four years; that is four years of potentially impossible traffic jams as the already crowded Loyola exit from I-10 is overwhelmed with massive new airport traffic. I recently asked our Secretary of DOTD to give me a simple answer as to why these two projects could not have been constructed concurrently and you can guess the politically correct answer I received. It isn’t Governor Edwards’ fault because the Terminal project started in Governor Jindal’s time, clearly intimating that it was Governor Jindal’s fault. Then came the stock answer that we have heard before, we didn’t have the money. That last one is odd because since Governor Jindal left office total state spending has climbed by about $7 billion per year; of that about $1.5 billion is solely increased state taxpayer money. So let me state clearly what I believe happened. This project was conceived as the signature monument to Mayor Landrieu’s reign as mayor of New Orleans. I can’t prove it, but I suspect that there may have been bad blood between both governors and the mayor. As a result I suspect that there has been little motivation behind helping a politically ambitious mayor exit office with a big win. Wow, that sounds like the national Democrats who once supported beefed-up immigration policies and a border wall until suddenly President Trump came in and now they say it’s immoral! Politics is a dirty game and sadly innocent people get hurt. I hope that our leaders did not stoop so low, but unfortunately if not, then the alternatives may include simple incompetence. Whether I am right or not, the NOLA Region is the largest metropolitan area in this state and though in economic decline from what it once was, the City may well still be the economic engine of the state with tourism as its major industry. Surely as a long-time legislator and as governor, Governor Edwards knew that opening the only terminal at our regional airport with no access will be a disaster. Surely he must have known that having an international gateway that actually works is critical to the sustainability of the NOLA and regional economies. Surely in his three years in office he could have carved out a bit of those taxes that he so fiercely forced through the Legislature to finance his social agenda to instead fund the flyover – or at least a surface-street access road from Loyola Drive that opens at the same time the airport will. But no, this critical project has fallen victim to either some or all of personal politics, incompetence, or a governor that has placed his priorities on growing government and not on important infrastructure projects that hold the potential to grow our economy. Either way this is a bad deal and the people of New Orleans, the River Region, Baton Rouge, and the Northshore will suffer because of the lack of planning/coordination by the last Mayor, the lack of concern by Governor Jindal, and the failure of Governor Edwards to solve what has the potential of becoming a monumental disaster for our people, our businesses, and our tourist trade. Perhaps even worse could be the savage blow to our reputation as there will be no end to competing cities and states that will hold us up as an example of what a dysfunctional city and state we are.